FK talks to the wonderful staff at Craft Victoria about their store COUNTER. Tell us a bit about the Craft Victoria store COUNTER and what things we can expect to discover. COUNTER is Craft Victoria’s retail space, nestled below street level at the top end of Flinders Lane (near Spring St) in Melbourne. 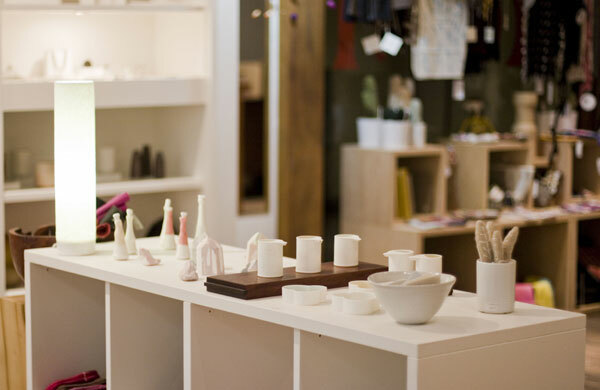 Craft Victoria is a member based organisation and peak body for contemporary craft, and COUNTER showcases the best of Australian contemporary craft and design. 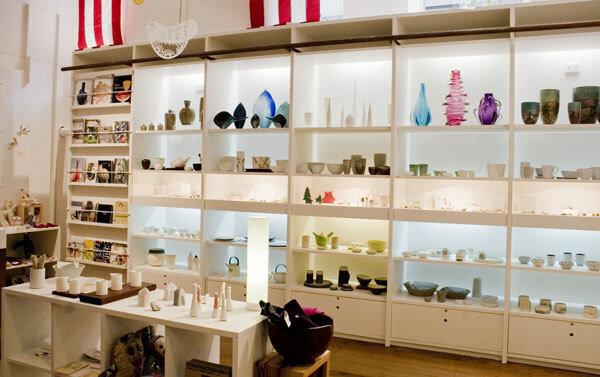 We carry exceptional art objects, limited edition and short run production ceramics, textiles, jewellery and glass hand made by over 200 emerging and established designer/makers. There is always something new in store! We can also arrange custom orders and special commissions and offer free gift wrapping and a wedding registry service. When did you open the doors to COUNTER and what other features does your building hold? Craft Victoria has been around for 40 years (we’re a grand old dame…) but our retail store has been open since 2002, first established by then Craft Victoria staff member Jenny Brown. Third Drawer Down’s Abi Crompton came up with the name COUNTER while Retail Manager in 2003. Over the years the quantity and variety of work we stock has increased significantly, reflecting the growing interest in all things handmade. 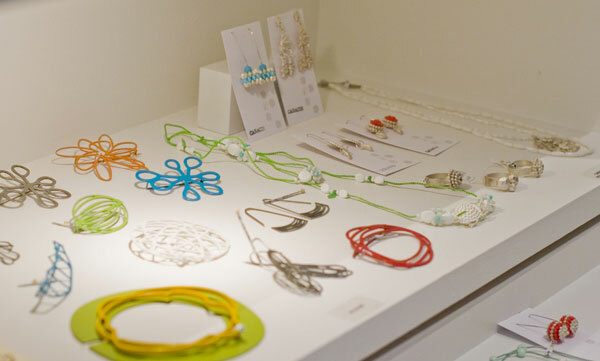 COUNTER is now a very busy shopping destination for craft and design lovers. When people visit they will also find three galleries exhibiting innovative works by local and international practitioners demonstrating new ideas and techniques whilst extending critical debates. We also stage regular Public Programs covering all aspects of craft and design practice. We attempt to support the craft practitioner at every stage of their career so a visit to Craft Victoria should be different every time! What Australian labels & products do you stock? Everything we stock in COUNTER is Australian made, predominantly by Victorian designer/makers. Given that we carry the work of more than 200 practioners it would be hard to single out any one specifically. Collectively our makers represent both the best emerging talent and established leaders in the fields of ceramics, fine jewellery, accessories, textiles, paper, glass, timber and object design. You can get a good sample of what is available by browsing our online store and also looking through our online member directory Craft Maker. COUNTER does have a formal selection criteria, which is available for viewing on our website, however on a day to day basis the most important qualities for us are – originality of concept, excellence in execution, consistency of supply, price and ultimately whether or not the work fits within the aesthetic and conceptual framework of what we are currently showing in-store. Of course there are also couple of obvious physical restrictions due to the size and layout of our retail space! Our new online shop has also allowed us expand upon the criteria to include works that may not have traditionally fit within the physical store but which still embody the qualities that fit COUNTER and Craft Victoria. How can emerging designers submit their work for consideration to COUNTER? New applicants to Counter must be Craft Victoria members. We have a retail policy that can be accessed via our website which we encourage all potential suppliers to read before making an application. 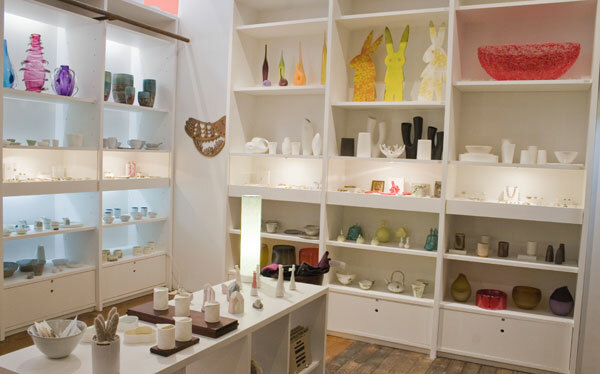 If people are interested in stocking at Craft Victoria we recommend they utilise the online application form and send us an email including information about their practice and their products as well as jpeg images of the work. The retail team collectively review applications regularly and provide feedback on all applications. All stock is held on consignment and we carry works retailing from $5 right up to $500. 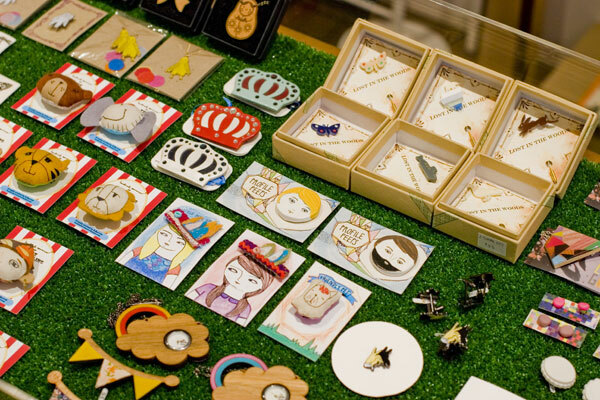 Another good place to start is by participating in one of our Craft Hatch markets. These are open to both members and the general public and held at the City Library on the second Saturday of every month. Hatch is great way to familiarise yourself with Craft Victoria and us with you, plus they are always pretty busy for a little market! Can you tell us about the enCOUNTER window and what that involves? enCOUNTER is our street level window gallery. 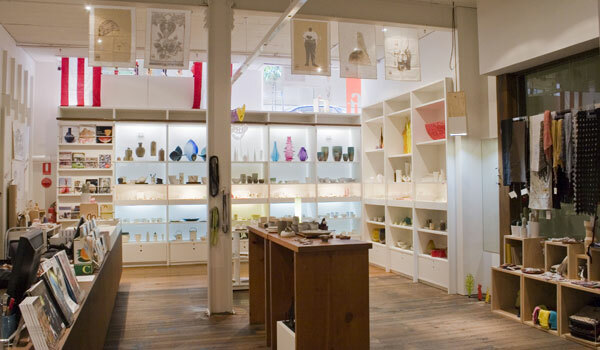 Managed by the Retail Manager it features work by a Craft Victoria member and COUNTER stockist and is designed to allow makers to display both the exhibition and production aspects of their practice in a high profile, curated showcase. Given that Craft Victoria is below street level enCOUNTER is also great way for us to attract passing traffic and give a sneak peak of what can be found inside. enCOUNTER exhibitions are changed every month, this month we are featuring an amazing installation by Evie Barrow called Handmade Romance and the Travelling Circus. The detail in the work is incredible and most of it is available to buy in the shop downstairs. If you are in Melbourne you should come and visit! What other new features or projects are taking place in 2011 as part of COUNTER? Next month we have a partnership with the Melbourne Food and Wine Festival taking place in the enCOUNTER window. It will feature the work of Sydney based installation artist Sean Rafferty who will create a lush cardboard collage of fresh fruit and vegetables displayed in a shop-window format. Conceptually this work presents the countryside as a commodity, built using reclaimed imagery from the packaging of our nation’s primary produce; particularly timely given the recent devastating effect of natural disasters our food producers. We also run a product development service called New Craft Made in Victoria. This allows makers to respond to product briefs from commercial industry and cultural institutions and access new retail opportunities outside of their existing base. How can people get involved in what you do? The most significant thing anyone can do is become a member of Craft Victoria. All of our activities are based around our membership, so joining really does put you right at the centre of the Craft and Design community. Membership provides access to COUNTER, half price stalls at our monthly Craft Hatch Market and half price entry to our monthly Public Program events. It also gives you access to Craft Maker, participation in New Craft and the chance to be featured as our product of the month. Membership also provides 10% off all purchases through COUNTER and a free Professional Development session with Craft Victoria’s retail, sector development or marketing staff. Too much good stuff to miss out on! Downstairs at 31 Flinders Lane, Melbourne, Victoria.